I realize that this is a bit last-minute; but, it is important. 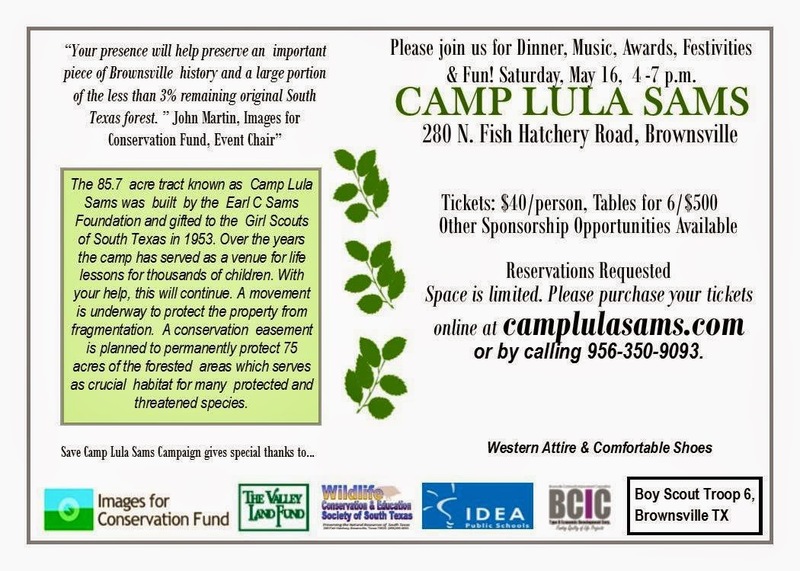 A few days ago, I was contacted by +Karine Aigner regarding a campaign to save Camp Lula Sams, which is 85.7 acres of land formerly used by the Girl Scouts. The property is now up for sale, which prompted a campaign to raise money to save it. The important thing to know about Camp Lula Sams is that it is one of those properties that is home to all manner of wildlife and flora that appeals to nature lovers, photographers, and the occasional biology nerd. You can keep up with the campaign by liking their Facebook Page at https://www.facebook.com/savecamplulasams . There is a fundraiser dinner on May 16. Yes, that is in 2 days. Tickets are $40 each. 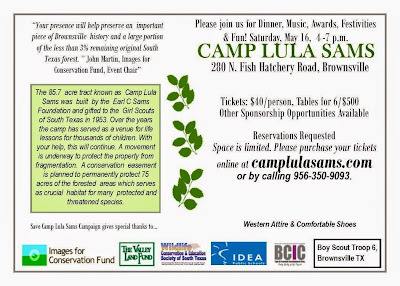 Obviously, the more tickets are sold, the more money there is to save Camp Lula Sams. Below are the details of the event. Being chock-full of helpfulness, I should also inform you that from now until June 15th, there is a Photography Tournament being sponsored by the Images for Conservation Fund and the Valley Land Fund. One of the reasons I started RGV Life was because I would often hear negative things about living in the Rio Grande Valley. Often it would be about what we do not have or about what we do wrong. Well, Camp Lula Sams is one of those things that our community in South Texas has done right. We should protect it. We should celebrate it. More importantly, we should save it.